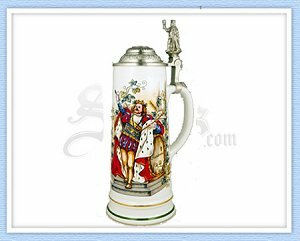 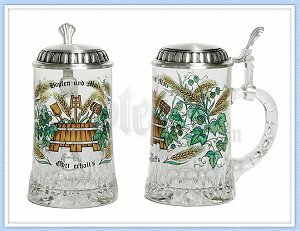 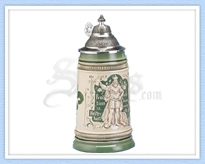 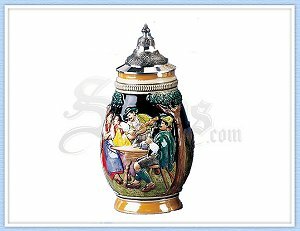 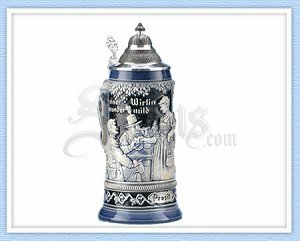 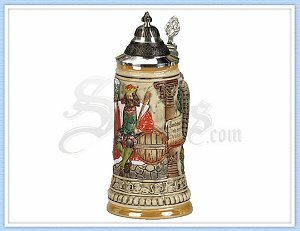 The image that appears on this stein was painted in 1910 to commemorate the 100-year anniversary of the Munich Oktoberfest. 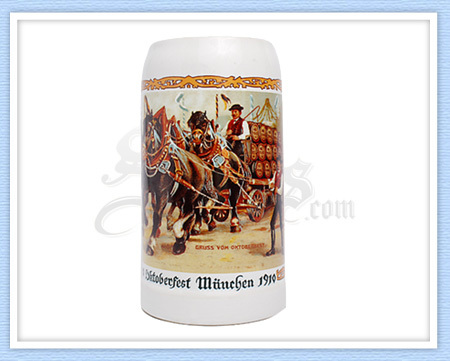 Decorated bierwagons were used originally to transport 100-litre barrels to the Oktoberfest. 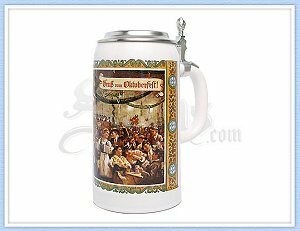 Painted in 1935 by Ernst Schlemo, this image provides a festive actual view of the inside of the Munich Oktoberfest Schottenhamel Bier Tent. 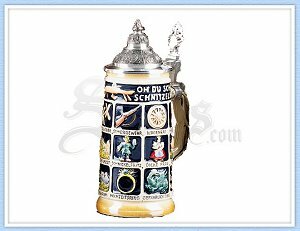 The Schottenhamels are the oldest innkeeper family, attending the Oktoberfest since 1867.